Our intensive farm operations continued, alongside a growing understanding of strategic issues. I started to understand the core message from Albert Howard and other natural farming pioneers: the forest is nature’s farm. No one waters the forest, no one manures or fertilises it, no one ploughs it and it is yet such a vibrant natural environment for microorganisms, animals, birds and all kind of plants and trees that co-exist for thousands of years in that forest as long as man does not intervene. What did natural farmers have to learn from nature’s farm? That ploughing, irrigation, manuring, mono-cropping, and annual plants are over-rated. That the trees are wonders of nature, and we should embrace them more than we do in agriculture. I heard Elaine Ingham, and American microbiologist and soil biology researcher: “Build the biology” she said, “the chemistry will take care of itself”. 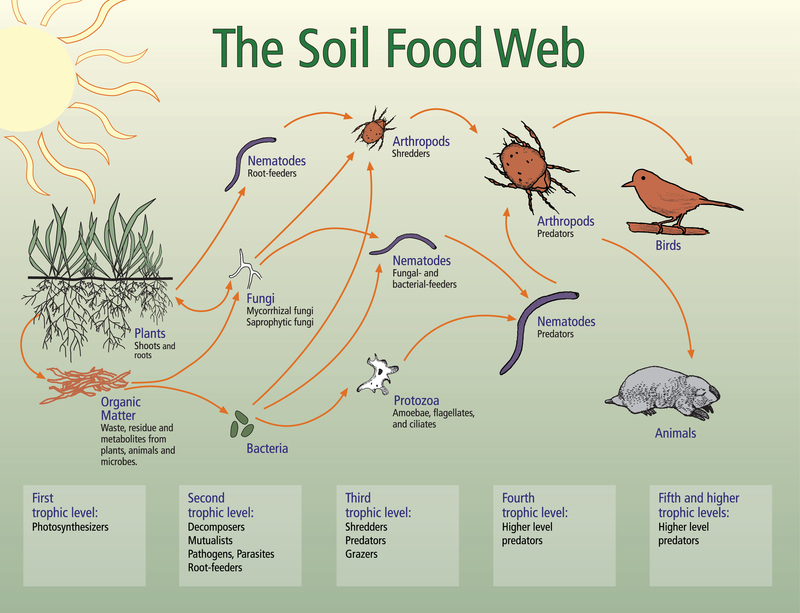 I started to read up on soil biology (fungi, bacteria, nematodes, arthropods, protozoa) and the symbiosis of plants with these living organisms in the root zones that provide nutrition to each other and food for humans. Building life in the soil meant the availability of organic matter to provide a welcoming home and food for this biology. It was quite that simple. Building soil health through the continuous addition of organic matter became my core preoccupation. We started to add copious amounts from multiple sources, making sure it was chemical free. In 2016, for example, we added perhaps 100 tonnes of diverse biomass to feed the soil. None of this was visible to the naked eye, though, as the soil swallowed all like it was never applied. I realised the enormous appetite of the soil due to the cycle of continuous oxidation of soil carbon in our hot and arid ecology, and the depletion of nutrients from the soil taken up by crops and fruit trees. We applied 20 tonnes of our own cattle FYM on the fruit orchards and vegetable plots; purchased 40 tonnes of FYM twice a year for the tilled crop land; 10 tonnes of leaves and branches from trees growing in Aman Bagh; lugged 0.5 tonne of leaf waste from Gurgaon public parks; 0.5 tonne of vegetable and fruit waste from organic wholesaler Isayorganic; 5 tonnes of sawdust from the village carpenter for deep mulch in all fruit tree basins once a year after the monsoon, and covered the entire floor of all our fruit orchards with 5 tonnes of local Sarkanda grass from the village commons in the winter; the many tonnes of the roots remnants of harvested crops ploughed into the soil and left to decompose; and finally the many tonnes of ‘green manure’ crops. Through the addition of biomass, manure and compost we have commenced establishing islands of intense soil nutrition in the basins of all our perennial fruit trees, mirroring the primeval forest floor where leaves, trees and animal remains decompose by the action of the microbes and form food for the trees. The tree basins will be expanded as the trees grow, and 10 years from today we would have built extraordinary fertility in the soil of all the ‘no-till’ fruit groves. Our sandy soil would become a marvel of nutrition, exhibiting attributes of alluvial loamy soil. For our tilled and seasonally cropped land, we ‘green manure’ annually by ploughing in a nutrition-rich, bio-diverse cocktail of grasses and legumes into the soil before they flower, when they are grown to 3-4 feet. This means ploughing in the green manure crops 45 days after sowing and 15 days before planting the main food crop, depending on how much fallow time we have available. This nutrition – Nitrogen, along with micro-nutrients – makes a stunning difference to the growth of the main crop. The 1,200 litres of microbiology-rich concoction Jeevamrit (applied alternatively every 15 days in fruit tree basins, in the vegetable beds, and in all cropped land) now has a perennial source of biomass, without the sun and wind desiccating them. The application and making of Jeevamrit has become an operational discipline. We now follow a thumb rule of keeping 1 animal per acre of land, thus we have a ceiling of three cows, their progeny and our two bullocks – these will provide me 4 tonnes of cattle manure each year. We carefully plan the acreage sown under wheat, Bajra (pearl millet) and Jowar (sorghum) so we have sufficient hay for the full year. This is in addition to the green Jowar fodder during summer, and the green fodder cocktail of Berseem (clover), Rijka and more. 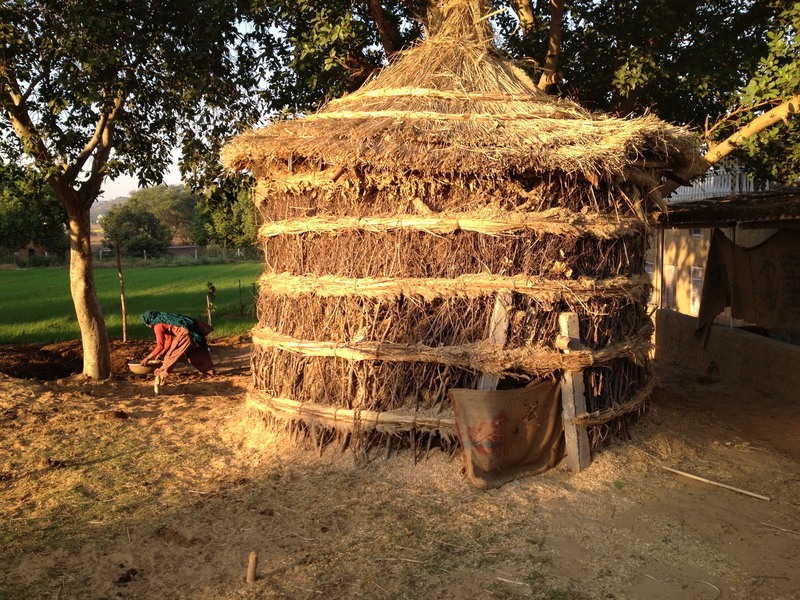 The hay is stored for the year in bonga huts sustainably constructed with dried Arhar (pigeon pea) stalks, Khatta (local mulberry) branches and a waterproof roof of tightly woven dried Sarkanda grass (saccharum bengalense). The bonga is but one example of sustainable, local craft and ingenuity. A learning that reached critical mass in 2016 was to think like a resource-starved peasant in a poor rural economy, which automatically implies low external input and low-cost farming. Till now, I had been thinking like the urban middle class, for whom 500 rupees was as important as 50 rupees to the peasant and no wonder my costs were out of reach of the farms ability to earn. Rather than spin my wheels on increasing production through ways that would increase painful operational effort, I focused on reducing excess and waste in expenses. I have understood that poverty forces environmentally positive decisions, and establishes a live-with-less attitude, a simplicity that is worth emulating. As for revenue, it should come on my terms or not at all. If the produce is good, people should beat their way to my door. My self-education continued apace via YouTube videos through books and articles from a variety of global sources on organic farming – Ernst Gotsch in Brazil, Bill Mollison and Toby Hemenway on permaculture, organic farming e-channels; material on natural farming in Indian conditions by Bhaskar Save, Subhash Sharma and Subhash Palekar; and my first structured engagement with permaculture in November 2016 through Aranya in Hyderabad. Permaculture concepts, which had been only of great interest till now, became a reality through experimentation. We started to get comfortable with fruit tree manuring and watering requirements, their crop patterns, and managing fruit pests specially the pesky fruit fly attracted to Aman Bagh by the nearby urban waste landfill of Bandhwari. 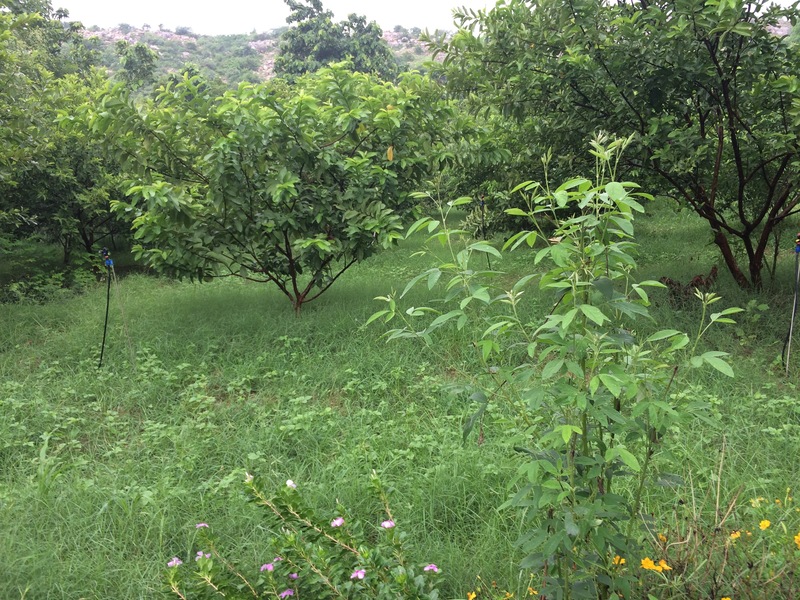 All the trees were fruiting happily – guava, Kinnow, citrus, mango – and we just had to ensure the harvesting; a harbinger of yet-to-come ‘do-little’ farming. For example, we earned 40,000 rupees from a quarter acre of land of Kagzi Nimbu (lemons), far more than any other cash or food crop could give us. We also planted 100 lemons and 50 Kinnow saplings along an extremely sandy soil patch of 15 feet wide along the periphery of Aman Bagh as a source ‘do-little’ farming from 2019, and a 30-tree mango orchard in another ¾th acre that will be the fifth ‘fruit-forest’ within Aman Bagh to go till-free and make over 50% of our farm free from the plough. The mango saplings of Dasehri, Langda and Chausa are two years old now, doing wonderfully well as I write in September 2017, purchased in Shahjahanpur Kithore in Meerut district from master mango breeder Hafiz Nafees Khan. The Beej Bhandar (Seed Bank) was implemented as a formal initiative in late 2016, a responsibility that has been pushed onto the shoulders of a rather reluctant Abdul Sattar. He is not a structured thinker, and he yet keeps seeds in all parts of the farm where I least expect to find them: gourd seeds in their shells hanging on some random tree, or in a corner of the dairy. We have started storing seeds, carefully sun dried, at one location demarcated by season, kind (fruit, vegetable, cereal, lentil, flowering), and clearly labelled in clean glass bottles. Besides local seeds doing well, we have also seen that saplings grown from seed for perennial trees at our nursery at Aman Bagh do better than those brought from a commercial nursery, and in fact trees grown from seeds planted directly in the Aman Bagh soil are even healthier. We started to conserve rainwater in 2016 with advice from publications from the Center of Science and Environment in Delhi, and started to direct water collected in the monsoon from the roof-top to a reverse bore-well drilled to 70 feet into the underground aquifer. We learnt to build swales along the contour, and bunds to stop the rainwater and enable it percolate into the soil. We have also ingrained a cultural practice of watering (mostly through our extensive drip and sprinkler irrigation system) only at twilight, and only through the state electricity system never the backup generator. We measured the water released into the soil after 1 hour and 2 hours of use of the drip-and-sprinkler system, and our irrigation experts Sattar and Nooruddin were shown the depth of the percolation by digging into the soil: they now use it wisely. They understand the need for ‘wetness’ (nami), and why plant roots don’t need to be drenched in 2 feet of water. A water conservation mentality is a difficult one to give birth to, but when you start the journey it gets better every year. A key water conservation strategy is to plant ecology-appropriate crops, we thus don’t plant maize, sugarcane, or rice; and none of the Green Revolution water guzzler seed varieties – says, Haryana 711 wheat. We only use desi (local) seeds, for example wheat, pearl millet and sorghum which use much less water compared to Green Revolution seeds. Four fruit orchards are no-till, with a biodiversity of perennial grasses, other plants, bushes and trees which have established cooler micro-environments that reduce water evaporation and the frequency for watering. Finally, fruit tree basin mulching using biomass from flowering trees and sawdust absorbs and retains water for much longer periods and reduces the need and frequency of irrigation by half. If we plant the crops at the right time, and in synchronicity with other farms, then pests are spread out over a larger land area and don’t damage our crop appreciably. But when we plant too early or too late, when there are no other fields of that crop for them to feed on, then we face the music as all the birds and insects in our village flock to the picnic! Our pest management policy has, in general, moved from preventive and scheduled spraying with fermented organic concoctions (cattle urine, chili, garlic, neem leaves etc.) to reactive spraying on specific visual incidence of pests. This organic concoction is simply a repellant, not a destroyer of insects like chemical-based pesticides are. As our soil (and therefore our plants) grows healthier, we expect the incidence of pest damage will reduce. The enhanced plant biodiversity should also give rise to a happy balance of pests and predators. I think I see this already. In some instances, like the fruit fly which is devastating to fruits in the monsoon months and is unaffected by sprays of all kinds in all intensities, we were forced to physically bag the individual Guava and Kinnow fruits with netting bags made at home. It is a lot of labor, which we have in abundance at that time as there is no sowing or harvesting work, but works well. And whatever little pests do eat, we let them after all they too must eat. The end of the rainbow holds little comfort for the soul, as I comprehend the terrible situation of the rural poor, landless and small or marginal peasant families alike. India is, after all, a very poor nation outside the middle-class world the English-speaking elite inhabits in our cities. With 17.5% of the world’s population, and 2.5% of its land, there is (at one level) no solution that can get us out of our nightmare. The reality is that 67% of Indian farming households (of 5) earned less than 20,000 rupees a month in 2016. And with this money they can do little more than survive at the margins of civilization. These families somehow get by, their own-farm work interspersed with paid labor (like the five peasants at Aman Bagh); with large families where everybody who can must earn. Where is the money for education, health, entertainment, marriage and death? This brutal reality of daily survival for over 800 million across India people runs through like a diffused documentary across my mind often, especially as I return home each day to my comfortable urban life in Gurgaon. It is a constant surprise to see cheerful faces of peasants, struggling as they are with the challenges of daily survival. Aman Bagh does not earn anywhere near what we spend, and that is not (entirely) by design. It is adequately clear that revenues (even our much higher ’organic’ price realization) from only 6 acres cannot enable us break-even if we continue to farm experimentally (as we will for quite some time), seeking a stable revenue model; and employ 5 people. In a steady state, maybe in 3 years, when the soil has been enriched and the fruit orchards are fully on stream for easily marketable food, we could reduce wage costs to 2 full time people and recruit ‘labor’ seasonally as the cycle requires. It is possible. However, I cannot bring myself apply a cost-based approach to people wages today – the Aman Bagh Five are part of an intimate community we have built so painstakingly over five years. 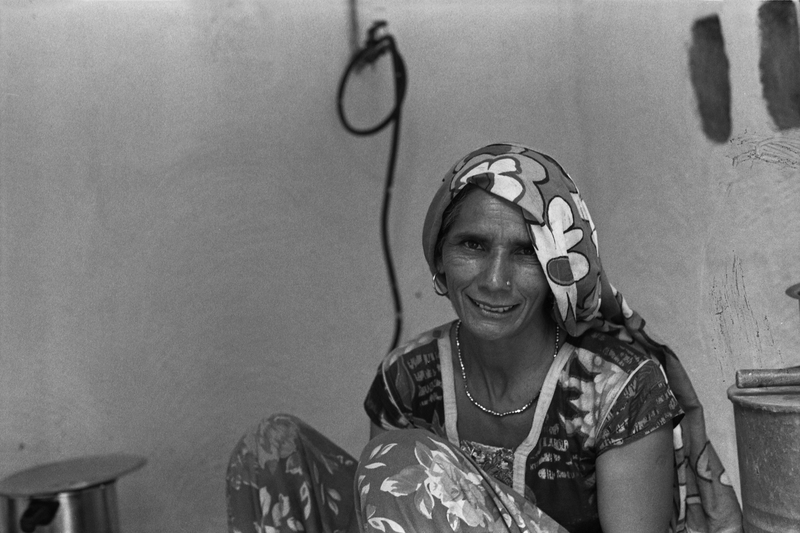 I know their lives, their families, their fears, their poverty and their stoic spirit. I cannot ‘let them go’, because the place they will go to will be significantly worse. A peasant and his family of 5 could possibly make 10,000 rupees a month from a 6-acre farm – without returning him wages for his labor – if all the trees were stripped away, if cash crops were planted on the entire 6 acres, if he lived in a one room hut on the land, and ate sparingly. A peasant’s life on 6 acres today is as difficult as mine is easy. What we have done is stripped all non-wage expenses to the minimum, and that is a lesson well learnt. A small farmer would never have let his expenses get ahead of his revenues ever, it would have been impossible. Aman Bagh earns 40% of its expenses, up from 20% 2 years ago. As we strip away our excesses, and build the soil, there is hope. But it is yet very, very complex. Aman Bagh will have to afford to run as it is, and I leave it at that for now. This year has decisively enabled me move beyond farming operations, as the Aman Bagh systems work smoothly for the execution of our established best practices. Building the soil has become the fundamental farm strategy and defines our package of practices. Our farm operations are constantly working to protect and grow the soil biology in plant root zones, and we no longer worry about the chemistry (N, P, K and micronutrients) which we are confident will happen in natural course. Scientists say there are enough nutrients locked in all soils for generations, the question is to have enough animal life in there to help release them in a form that is bio-available for the plants. I have started to recognize life as active below the soil as I see it above: the extensive roots talking to each other, the microscopic bacteria, fungi and protozoa that life within these roots in symbiosis, the mites, earthworms, termites, ants, rats and more. Another key strategy is building plant biodiversity that feeds directly into microbe and plant health. We have added biodiversity in each fruit orchard by adding 100 Papaya, 200 Moringa, 50 Sharifa (Custard Apple), and a sprinkling of Chiku, Shahtoot (Mulberry), Phalsa (Indian Currant), and hundreds of slips of Khas (Vetiver) grass as ground cover in the fruit orchards. 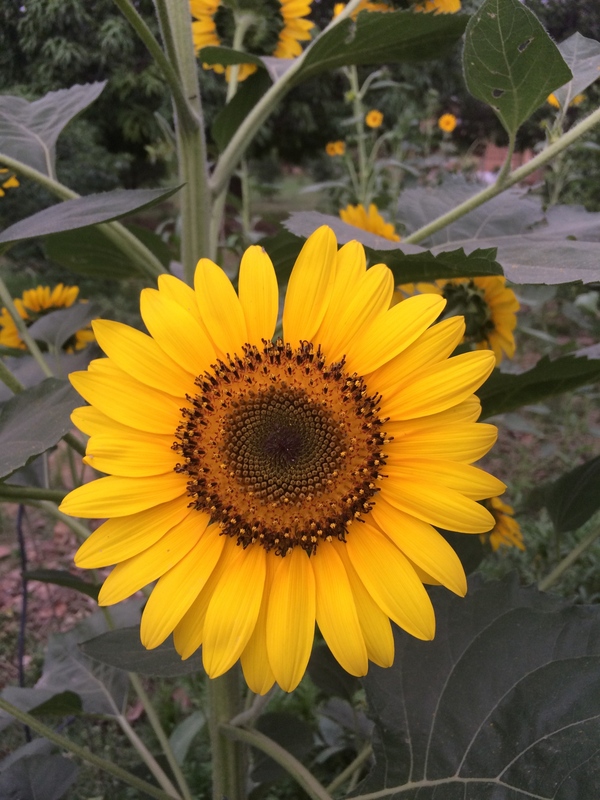 On our cropped land, we are intensifying schemes for multi-cropping, crop rotation, companion cropping, and growing bio-diverse perennial plant life we are seeing healthier plant life. Our multi-layered fruit groves have tall trees at the periphery as windbreaks and as biomass for mulching, we have planted a next level of Moringa that when grown to 20 feet will protect the fruit trees below by allowing the sun to filter through their small leaves while its fruit and leaves provide revenue; fruit trees of Amrood and Kinnow; tall bushes of perennial Arhar, interspersed with Papaya; understory of vetiver, Kans, lemongrass, herbs; and a ground cover of doob grass. No soil is seen in my orchards today, no rain or wind or sun to disturb the army of different battalions from the animal kingdom that eat the vegetation and feed the soil in the cycle of life. Our ‘No-Till’ perennial fruit orchards are today 40% of all our land, these will move to 50% by 2019 as our new 3/4th acre mango orchard comes on stream: we will further reduce the intensive cycle of till-sow-de-weed-harvest that disturbs soil, oxidises tied-in Carbon, and yokes the peasant to high-intensity labour and Aman Bagh to low revenue annual crops. The biodiverse fruit groves are slowly and visibly enabling the building of orchard soil; and as the fruits are higher priced produce we are moving to a portfolio the generates higher revenue throughout the year. 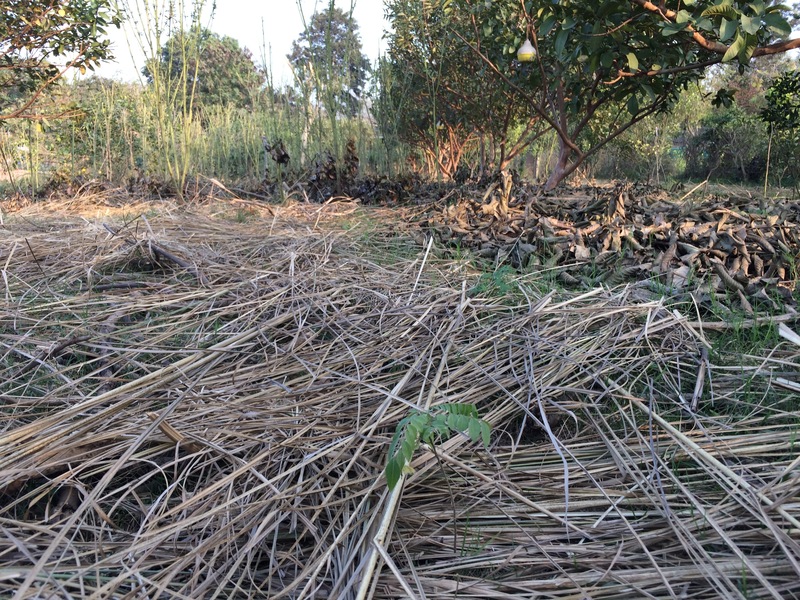 Agroforestry (a system combining agricultural crops and forest ecosystems) within Aman Bagh is a source of water conservation, provides us cooler and gentler microenvironments, and valuable biomass for mulching. We now allow flowering, evergreen and medicinal trees to grow all over the farm on mends and bunds, their seeds carried and planted by birds, animals and the wind. We have also embraced the practice of pollarding trees (cutting the main trunk at 6-7 feet from ground) as a way to gain mulch. We continue to grow many more evergreen and flowering trees so that no bio-mass needs to come from outside the farm. The challenges that remain are substantial and long-term, the first being how to break even. The second is water sustainability in our arid land, where I pump out more water from the aquifers then I put back in. And finally, energy sustainability perhaps by going off the grid. The outcomes are many, and few are answers. 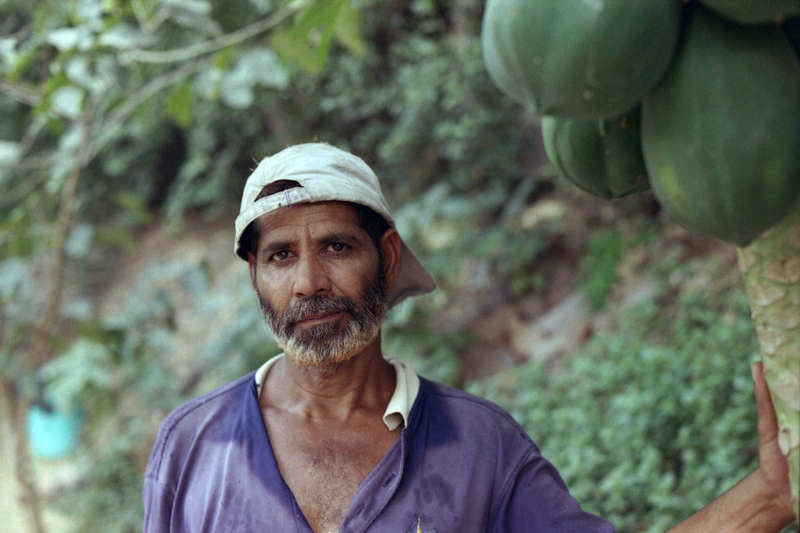 Aman Bagh started with a desire to be in the village and grow local food for myself and my family. That is more than achieved, and I continue to evolve in my understanding of personal health through food as nutrition. I eat as if I were rural west UP in 1959 (the year I was born) with the critical exceptions of milk – unthinkable for my country cousins, indeed most Indians. The modern consumer economy of supermarket, packaged plenty – overseas or Indian – simply does not exist for me. My diet is mostly ‘whole plant food’ while means exactly that: no animal products including milk or its extracts, (almost) no oils, no juices, no smoothies. My meals comprise local cereals wheat, barley, oats, sorghum and millets, a range of lentils, some nuts, and a profusion of vegetables and fruits. This was not always so, but it was headed in this direction over the decades and Aman Bagh brought me closer to the truth of a whole plant, vegetarian diet. I’m not at all sure if this is right for everyone, but it works for my well-being. 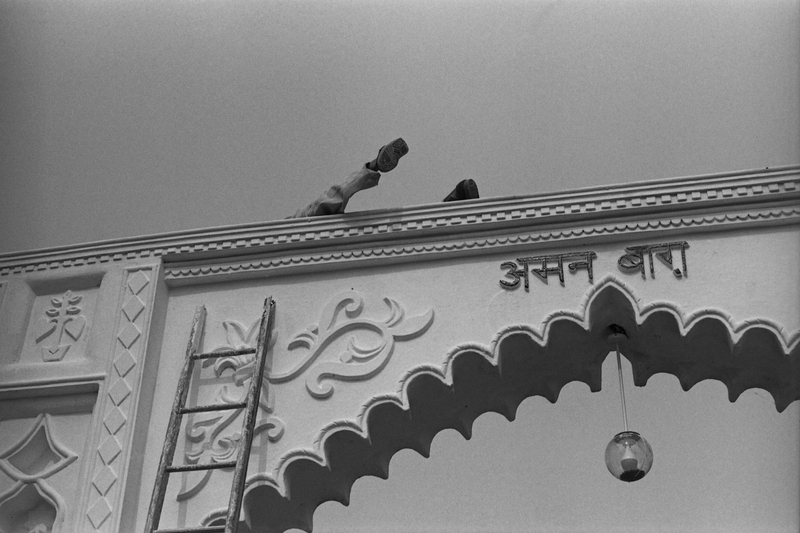 What has been completely unexpected is the deepening of an organic understanding of rural north India, its poverty, contradictions, challenges, and a realisation of opportunities to contribute stuffing my finger in a dike. This engagement with rural life brought me an understanding of traditional livelihoods in the villages, the once dominant handlooms and handicrafts, their decimation by the colonial British and by us brown sahibs who construct taxes to take away even their shrunken present. Understanding the farm and the village, I also see that the state of our environment is deeply connected to livelihoods in inverse ratio as we follow the destructive ways of Rich nation consumerism and the market. I see little hope in a nation with 17.5% of the world’s population and 2.5% of its land, the corporation and the market it sets up even more ubiquitous and all powerful than it ever was, and the single story of urbanisation playing out as the false redemption of mankind. But I am yet driven to look for and create alternative stories, such that the ultimate resting place of our civilisation is not in the city but in another kind of village. Perhaps Aman Bagh has a bit of that magic. Over these years, I have become part of a community of the most unexpected companions unlike any I have known my entire life of an urban, English educated, globally travelled, arrogant, self-obsessed lout. My early life provided me an identification with the villager and my wife Rabab prised open my closed mind; ‘Insaniyat, Na Jati, Na Dharm’ was my expectation from Aman Bagh in 2012. My Muslim and Dalit fellow travellers have given me glimpses into worlds that have opened that third eye. Yes, we can co-exist, we can transform and no longer look at the other telling us a ‘single story’. We were given denuded land, sandy and completely open to the deadly sun, wind and rain; with 100 trees. We have planted 1,400 more trees, and our soil is protected and covered with plants of all kinds and sizes. We have added 250 tonnes of organic matter to our soil, more than we have taken out of it. This enabled us organic certification for our processes, which matters but not that much. My anxiety of not knowing enough and making mistakes has greatly reduced, not because I know much but because I see Aman Bagh’s ‘green carpet’ more in harmony with the cycle of nature. There is much to be done, but I have witnessed an explosion of insect, bird and animal life of all kinds, proof how our diverse environment has brought a new reality to the land. 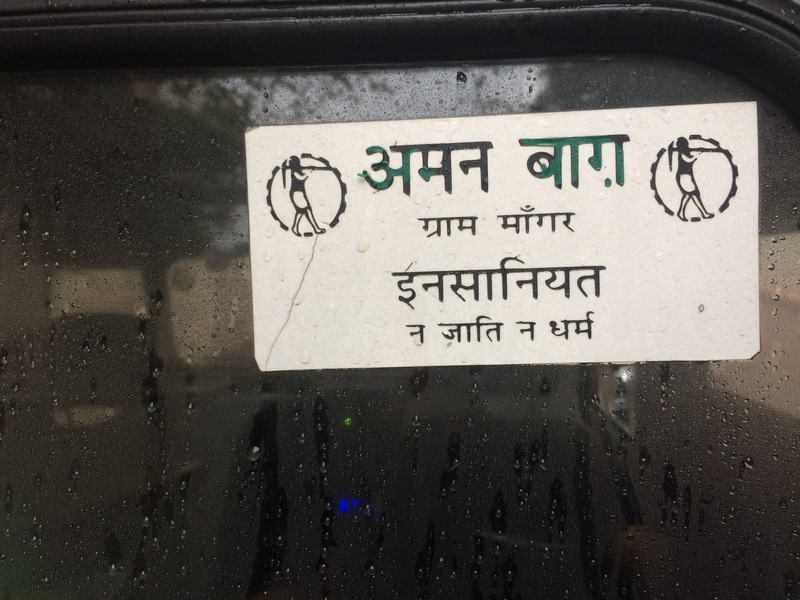 I didn’t realise formal education was so very overrated till I entered Aman Bagh to learn about nature’s rhythm, and till today I don’t know a tenth as much as an ‘illiterate’. I have come to a new awareness of enormous traditional knowledge residing in people without letters, undocumented in a nation that has only an experiential and oral tradition of documenting peoples’ experiences. How can an encyclopaedic knowledge of local plants and their use, for example, co-exist with illiteracy? Education has meant the city, and a breaking of the bond with nature. While we cannot give the peasant and the landless poor what they need, should we strip him of his self-respect by calling him ‘illiterate’ ‘uneducated’ and reducing him to a labourer constructing the roads our cars can speed by on? How divorced can modern subject based classroom education get from knowledge and sustainable livelihoods? I see many thousands of well-meaning people – consumers, farmers, activists – across India who believe in the redemptive nature of organic food and organic farming, people worried about chemical poisons in all our foods, and how these are connected to the state of our environment. This is an increasing tribe, and a very welcome trend. On the other hand, the new ‘organic food’ segment (of the 2% of Indian households who earn more than 50,000 rupees a month) belongs to the same powerful market that works to degrade the land and the environment by selling us jet planes, cars, two-wheelers, oil refineries, tractors, pesticides, fertilisers, hybrid and GM seeds, packaged foods that the better-off classes consume. There are people in the cities who view organic food as a personal health choice in a very limited sense: they want the chemical-free food, but they don’t want to recognise that our unsustainable consumptive lifestyles are leading to these poisoned foods in the first place. Can we be happy with organic cookies delivered to us by Amazon in plastic bags when our air is not breathable, our forests are being decimated, our wildlife is down to a fraction of what it was just 25 years back, our cities are unliveable, and the village soil poisoned? 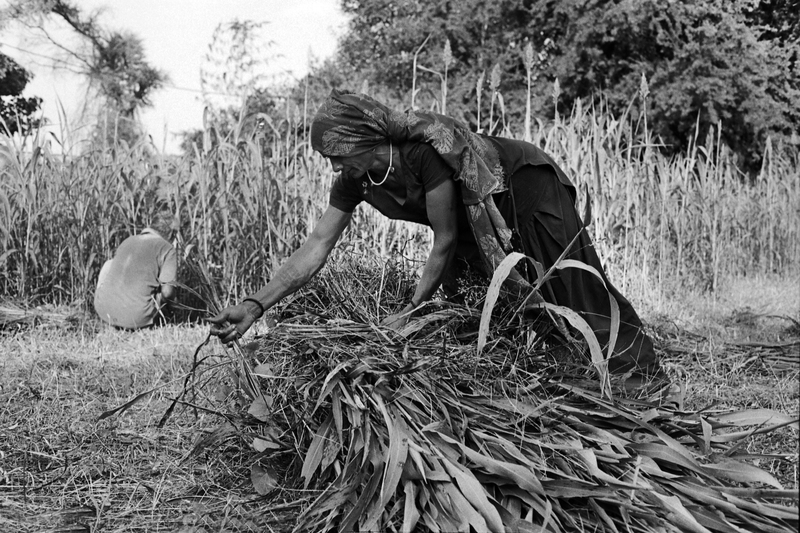 Then, there are 60% of India’s peasants and rural labour who farm on rain-fed land, without access to year-round irrigation, and they are ‘organic-by-default’ as indeed all our peasant ancestors where in 1960 before the Green Revolution. The rural poor certainly grow organic food, but they themselves live on the fringes of survival. Finally, there are the 40% irrigated land farmers who have a better life than their rain-fed cousins – but these are fully invested in chemical farming, lifestyle diseases, and the aspirational consumerist lifestyle. How do we reconcile these four very different groups? Questions around complex and seemingly unsolvable problems need simple answers to let us slip out from under the overwhelming weight of the present. We should all worry about these problems, but we must also do – for one, start growing our own food without chemicals, or seek out and actively support those who do so locally. And when you visit a farm, which you really must, look look long and hard at the sun-beaten face of the slim peasant and realise he and his ancestors have fed us for generations. She might very well yet be uneducated in letters, but carries the enormous weight of knowledge of growing food for all of us who simply consume it. They deserve your respect, your compassion, and yes your money. This entry was posted in A Day in The Life, Cattle, Crops, Links to Organic Farming, Policy & Politics, Rural Village Life and tagged agroforestry, food forest, organic farming, organic farming practices, Organic Pest Repellants, permaculture, plant biodiversity, Rural Haryana, seeds, soil, sustainable farming. Bookmark the permalink. Thanks for quite frank and detailed story of a non-farmer turning into a farmer. or a farm strategist. 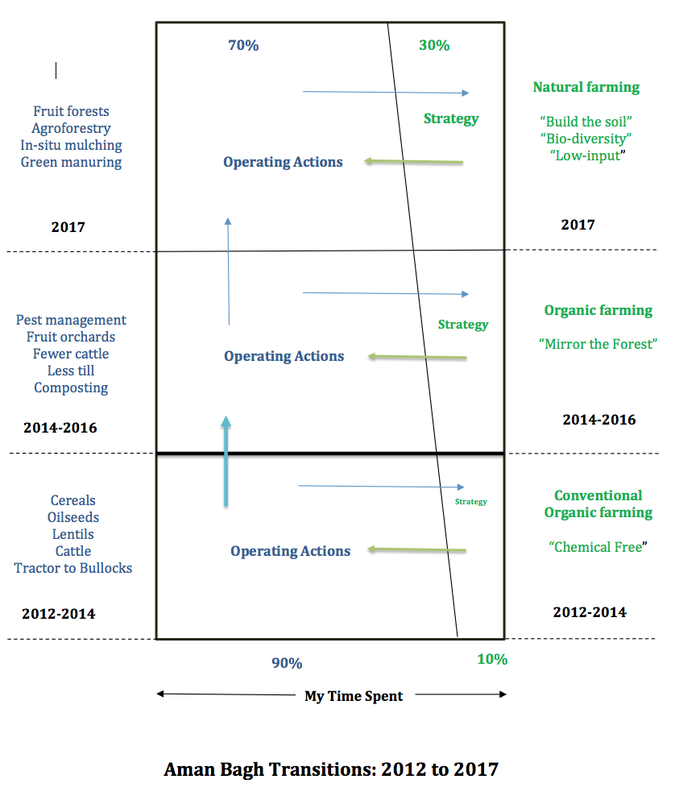 However, if a chemical farmer were to convert to organic farming, transition time would be much less. Aman bagh experiment would only be successful if neighbouring farmers fully dependent on farming move to natural farming; otherwise, it would just be an island. I am sure it is part of your future vision. By the way, as five workers of Aman Bagh are marginal farmers, what kind of changes they have done in their own farms? Anyway, I enjoyed reading it. I find the narrative as above in all three parts very moving and full of wisdom as we have gone through this journey of natural farming ourselves.The larger issue is to revitalize the soil for our county and the world. As per the UN report our countries soil is among the most degraded soil. Not that other counties have done any better.. My friend Harsh has recounted his journey of understanding soil, environment, farmers so very well. In the above narrated in my considered view. He is heading towards practicing zen which infinite gratitude towards all things passed ; infinite service all things present ; infinite responsibility to all things future. My friend please keep zen spirit alive and kicking. as always, very good articulation of your journey so far and the tremendous learning you gained in this process. Question is- can this be replicated to thousands of acres and still feed the growing population? We’ve recently moved to a rural area from Bangalore. And many of your learnings resonate with ours as well. Fortunately, ours is a coffee estate with multi level mutlicropping which was already established and we are just making chemical free. And thanks for sharing! Wonderful Jayadeep, I’m so glad you are farming too. If many of the wealthier urban classes like us take up tilling the soil and understanding it’s many issues, farming will no longer be only a problem for the rural poor. Visit with us please.